Supplying Tyler with live music, classic movies, live comedy and theatre, Liberty Hall is becoming the center of entertainment in downtown Tyler. Payne claimed that the building had been used for a multitude of businesses in the time before the city of Tyler bought the building. After much deliberation, city leaders decided to turn it into the cultural center that it is today. Payne is hoping to make a new style of entertainment available to the citizens of Tyler. Soon after opening, Liberty Hall had a limited amount of resources and a small following but, as more people attended, the frequency of shows and events grew. Although all of the events are chosen by Payne, many of them are selected from online suggestions from the community. “Facebook is definitely where people suggest what they want to see; what they want to hear. I always say I like Beyoncé and Lil Wayne, but they are not coming to the Liberty. So, if you know of music that is reasonable,or music that is from the Texas or East Texas area, or an up and coming group that might be interested and is looking for somewhere to play,” said Payne. While the theater does play movies, Payne only plays classic movies as opposed to current box office films. Along with introducing Tyler to a unique film experience, she doesn’t want to compete with the larger theaters farther south on Broadway Avenue. 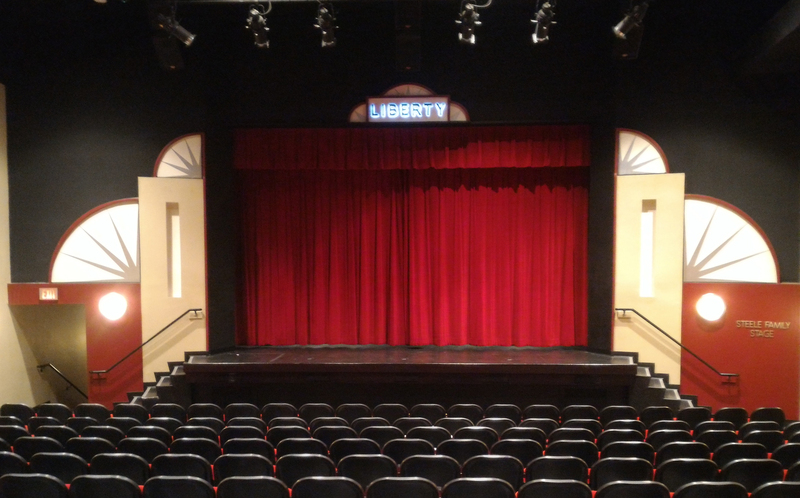 For more information on the theater, or to suggest an event, visit www.libertytyler.com, or find them on Facebook or Twitter @liberty_hall.